The evolution of digital media has brought us to a fast-paced, forward-thinking world where those who rise to the top are technologically inclined. Take a step forward with a Toronto web design firm that understands how innovative advertising is the key to unlocking the potential of your business. 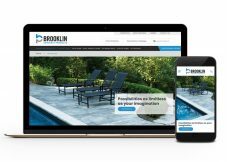 By creating and maintaining customized websites, the Web Design Store’s technical team is not only limited to website development Toronto projects, but has helped companies across Canada and the U.S. maximize their bottom line. Websites are essential mediums for gaining global exposure and attracting new clientele. There is a difference between an aesthetically pleasing website and a profitable one. Web Design Store achieves both. One of the most powerful tools of an effective website is its marketability: how well will your website attract potential clients? By utilizing search engine optimization techniques, our experienced team will make it a priority to bring your business to the forefront. The best part? This Toronto web development firm will completely tailor your website to highlight the unique aspects of your company.